This is the first book I’ve read with coding as a main theme, and I was so impressed for several reasons. First, this book felt so fresh, as coding is timely topic, but there hasn’t been a lot written about it in middle grade fiction with female protagonists. Second, the characters in this book are real, using language and acting the way young teen girls do, and it felt very much at its audience’s level. Third, I could not stop reading…I was totally invested in the story and loved that this book did not take me where I feared it might in the beginning. 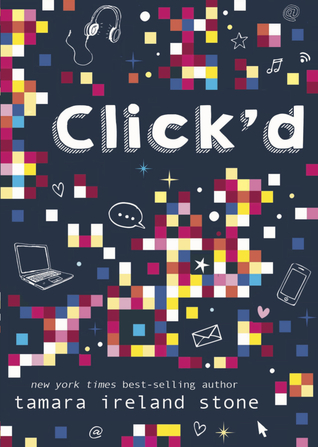 In CLICK’D, Allie has spent the summer at a coding camp for girls, where she’s created a new friendship app that turns meeting people into a game. When her teacher recommends her for a coding contest, the stakes are raised when Allie learns her arch nemesis is also competing. Allie decides to let the app into the world to get some live data, and its a HUGE hit. As followers surpass all of her expectations, she thinks she’s a shoo-in to win the contest…until a glitch causes everything to crash around her. As Allie races to fix the issues before the contest, she learns that friendship apps can be just as complicated as friendships in the real world. I’ll definitely be ordering a copy of this book for our library and promoting it!